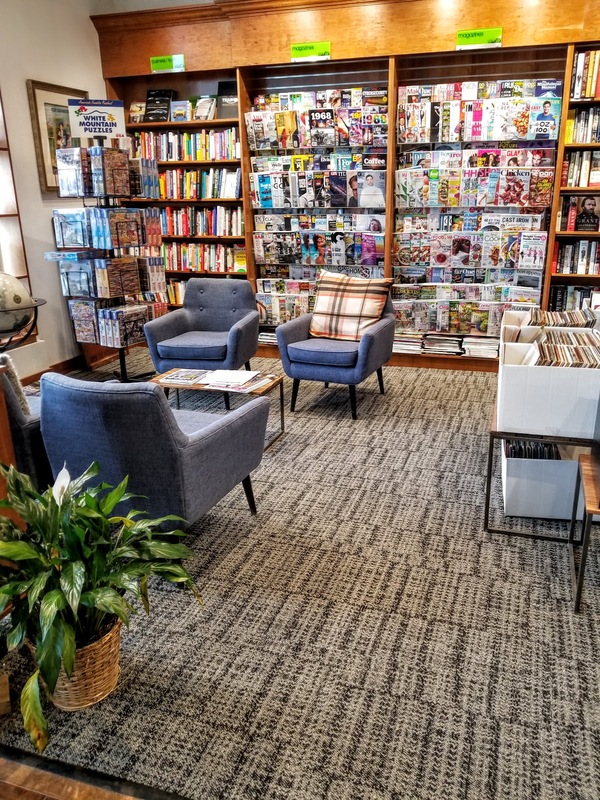 From the exterior, Barrington Books in Cranston, Rhode Island is not particularly impressive. It is in the middle of a shopping center that also houses such things as an L.L. Bean and a Newport Creamery. Though, now that I think about it, that is not a bad thing. Books followed by ice cream and then, if you are truly committed, you can go on to purchase hiking boots. All aspects of life supplied in one stop. On the morning I visited however, I was simply focused on books which I am sure comes as no surprise. I stumbled across Barrington Books when I was doing an internet search for independent bookstores in my area and coming up woefully empty-handed. I expanded my search into Rhode Island and found Barrington Books. They have two locations, one in Cranston and one in Barrington. I chose to visit the Cranston location simply because it is only 45 minutes from my house. 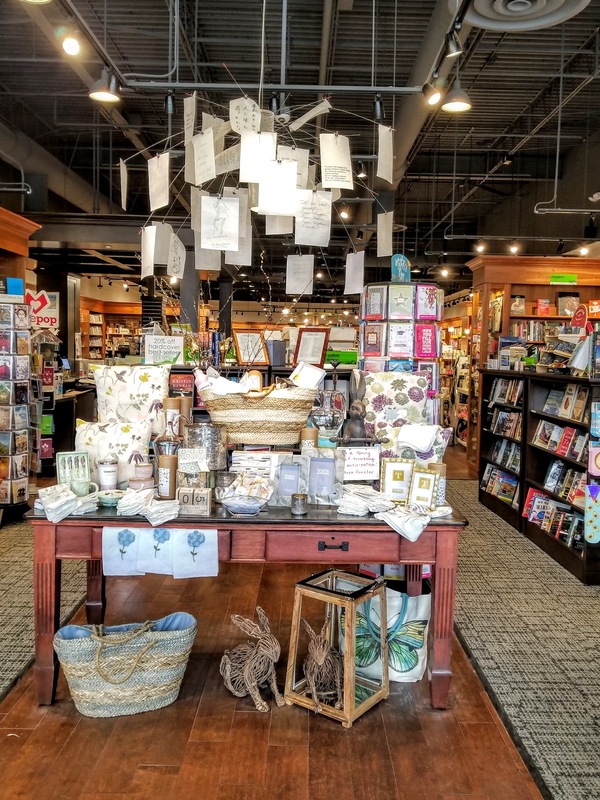 Their website says that the owners have come to realize that "the stand-alone bookstore model wasn't sustainable." Those words hurt my heart. Because of this decision, they have decided to include toys, gifts, stationery, and vinyl records. I went into this visit very unsure how I felt about the mix of gift shop and bookstore. However, due to the dearth of bookstores in my general vicinity, I decided it was worth a visit. I left Barrington Books still not completely sure how I felt about it. 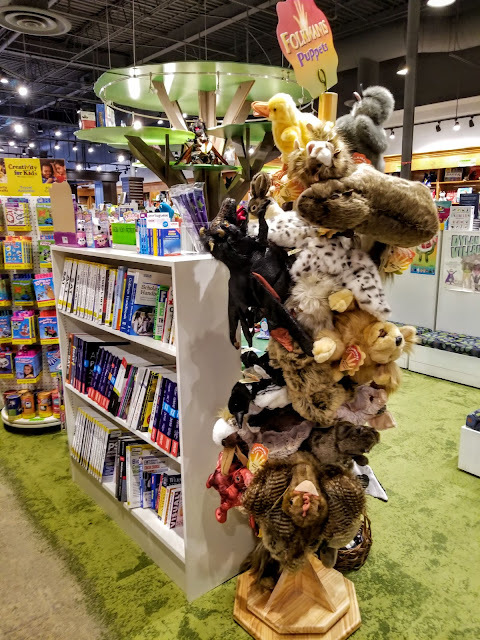 The children's section was by far the largest and I am sure my kids would have found things they loved when they were younger. My daughter would have wanted to buy all the stuffed animals. There seemed to be a decent selection of children's books and they were nicely presented. I did not spend a lot of time in this section since both my kids are too old for it now. There was a varied and eclectic selection of gift items. Many of them were very pretty but not to my taste. I felt a bit like it would be the perfect place to shop for an older lady. There were a lot of scarves and vases and purses with beach scenes on them. 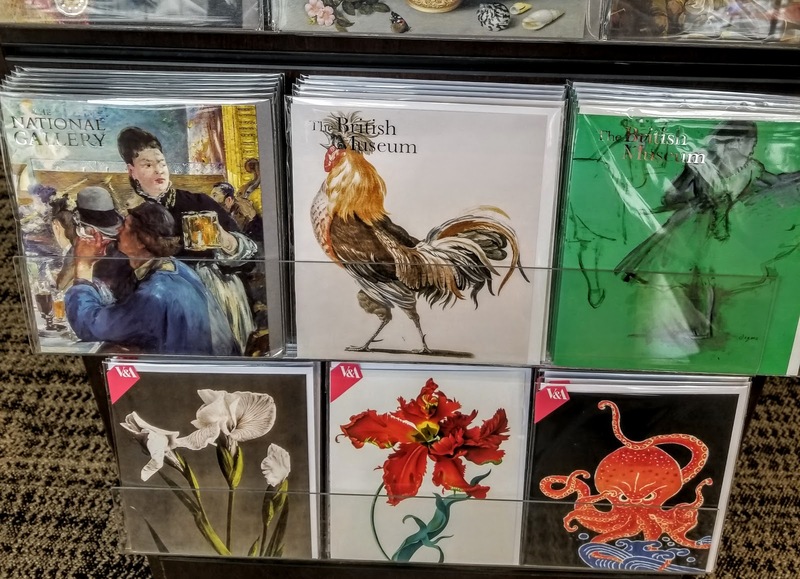 But then, just as I would decide none of it was for me I would walk around a corner and find cards from the British Museum or beautiful journals or very nice tote bags. I walked quickly by the tote bags. I do not need any more tote bags. I think for many that is the appeal of the store. There is a bit of everything in there. "But what about the books?" I hear you ask. Well, that is where I feel it comes up a bit short. 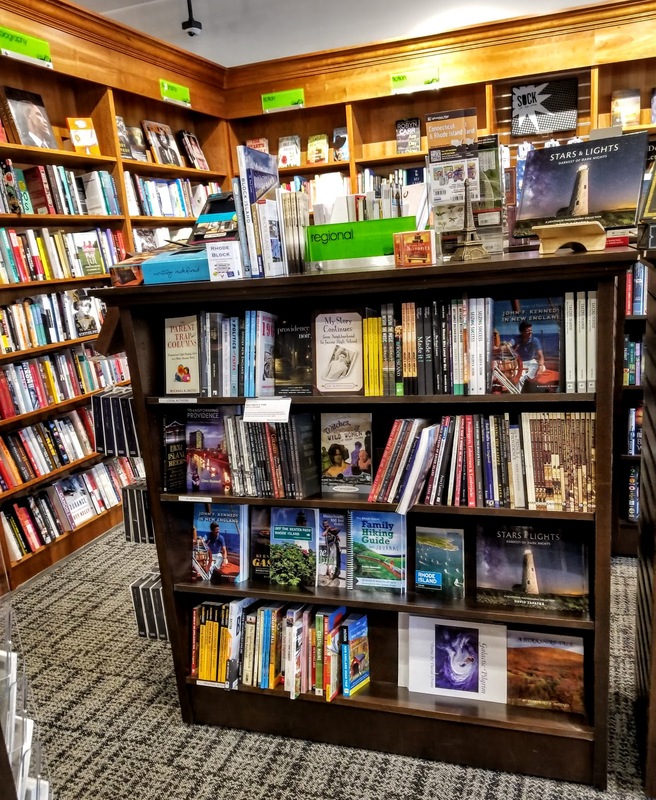 If you are promoting a combination bookshop/gift shop you don't have room to have shelves and shelves of books. The selection was limited and there was a bit of a focus on books that would sell well as gifts. There seemed to be a good selection of recent releases though that is not my area of expertise. I know this does not sound like the most enthusiastic review. I like my bookshops packed with books from many different eras. I like so many books I have trouble picking what to buy. I like old-fashioned bookshops. The thing is, we don't live in an old-fashioned world and in the world we live in and in the area of the country I live in bookshops have to adapt in order to survive. I get that. As a bookshop that has adapted Barrington Books is a huge success. I am just still mourning a world that is gone. 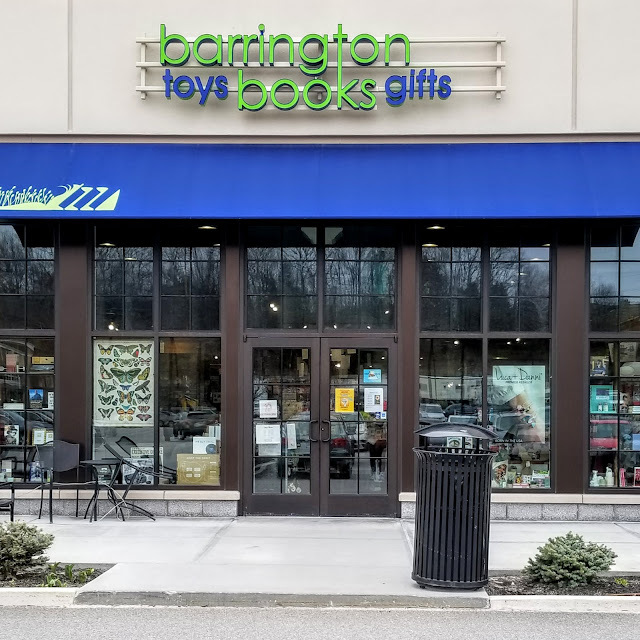 The thing that most impressed me about Barrington Books was the customer service. That alone was enough to convince me that I must return one of these days. I was greeted politely as soon as I entered and then I was left to browse in peace. 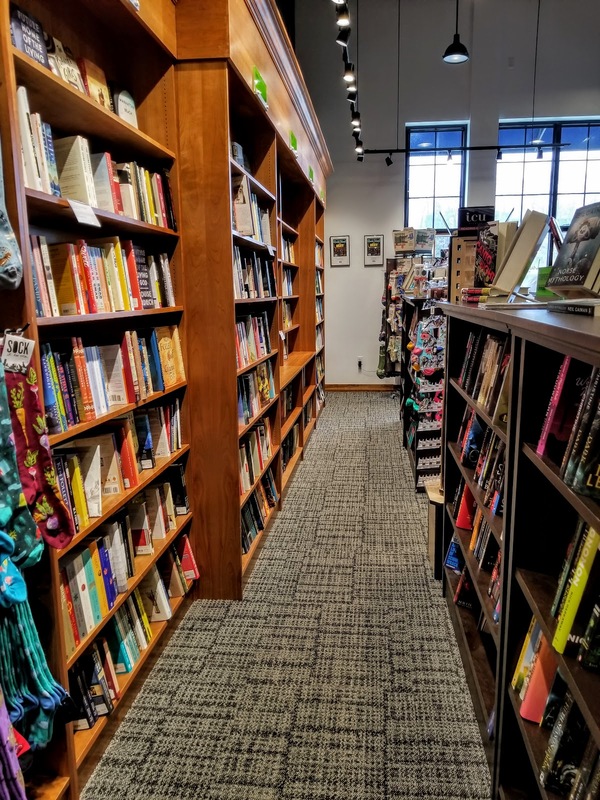 When I paid for the book I selected the bookseller had a friendly, chatty conversation with me asking how I had heard about them, pointing out things in the store I might have missed, and telling me about an upcoming event. It was not just someone going through the motions but someone who genuinely enjoyed her job. I also heard them helping a customer who came in looking for a book for her son. She had a very vague description and they managed to track down exactly what she wanted. In a society where frequently the customer is served with sullen indifference, this was a refreshing change. I try to buy a book at every independent bookstore that I visit. They may not all be exactly what I want in a bookstore but they are all valiantly fighting against a world that frequently views books and reading as out-of-date and a waste of time. For that fight, they deserve my support. At Barrington Books I bought The Reader Over Your Shoulder by Robert Graves. It is subtitled "A handbook for writers of English prose." I never heard of it before but stumbled across it in the very tiny section of essays and literary criticism. That is what was interesting about Barrington Books. They didn't have what I wanted but they had something I didn't know existed. I wish I started tracking books I read years ago but I only did once I started blogging. I've never even heard of the Graves book but I bet it's interesting. It's a shame that bookshops are having such a tough time on the high streets, but I suppose it's the same for all sorts of shops nowadays. I'm not a big fan of buying things on the internet though. The U.K. still has more bookshops than the U.S. though I know bookshops are struggling there too. It is such a pity. Bookshops are a joy to browse in. It is harder to have serendipitous finds on the internet.